This week, Kanawaki Golf Club in Kahnawake, Que., just outside Montreal, is hosting the 2017 Canadian Men’s Senior Championship. 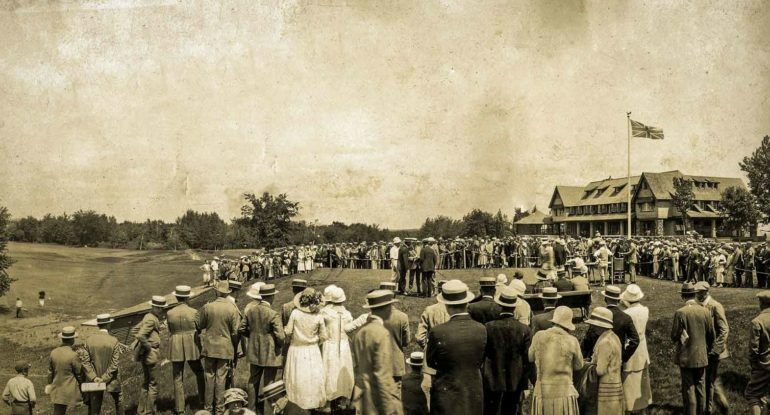 Here’s a brief historical look at the venue designed by Charles & Albert Murray – pioneers of early golf in Canada. The first golf club in North America was formed in 1873 when a course was laid out on Fletcher’s Field, under a permit from the City of Montreal. It was known as the Montreal Golf Club. With the growth and spread of the city over the ensuing two decades, it became apparent that encroachment would require the club to move. As a consequence in 1896, the club, which in the meantime had been granted permission to add «Royal» to its name, moved to Dixie in Lachine. A number of members, however, preferred to remain at the old location and formed a nine hole club called the Metropolitan Golf Club. In September 1902, a group of some fifty of these members undertook to organize the Outremont Golf Club. 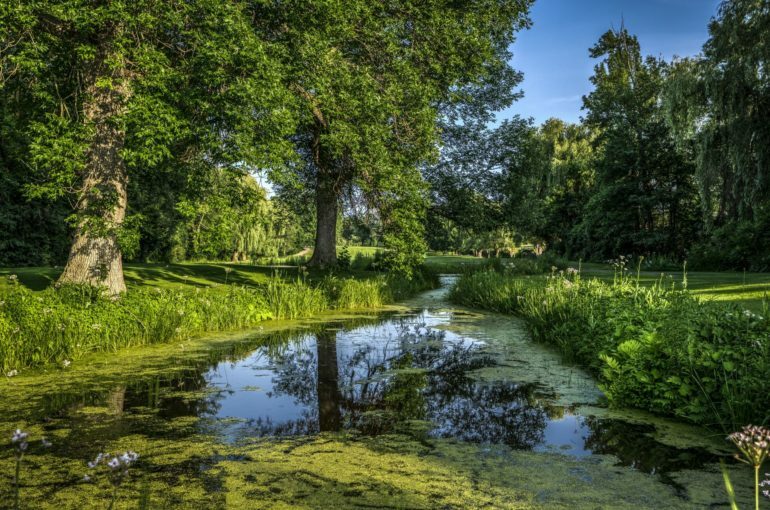 They arranged for the lease of the farm area bounded by Rockland and Pratt Avenues, and proceeded to finance the initial cost of a nine hole course. The first President was His Honor Mr. Recorder Weir, and the membership role listed 212 names. The Club continued in existence until the year 1922, although each year saw its territory further reduced by the sale of building lots. In 1910, anticipating that a new location would sooner or later have to be found, Mr. J. Harry Birks spent much time looking over prospective sites. At one time a firm offer was made for a property in the Ville LaSalle area, near the approach to the present Mercier Bridge, but it was sold to a higher bidder. About that time Mr. Meloche, from the Kahnawake Reserve, called on Mr. Birks to collect rent for an advertising sign on his property and offered the suggestion that a part of the Reserve could easily be adapted to the requirements of a golf course. Arrangements were made with him to row a delegation of members, including Mr. Birks, across the river from Lachine to inspect the proposed site. They found it to be mainly swamp and dense scrub. A survey was undertaken and although the engineer’s report contained some reservations with respect to drainage problems, the decision was made to proceed. The Kanawaki Golf Club was incorporated March 14th, 1912. 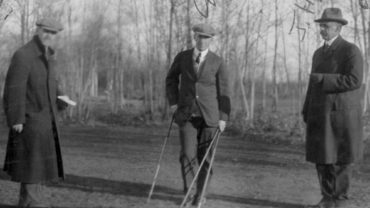 The act provided that all members of the Outremont Golf Club would be members of the Club. Nevertheless, the separate clubs continued to operate for the next ten years until the leases in Outremont expired. Following this, the clubs merged. Even today, inside the clubhouse you’ll find a decorative painting on the south wall of the Dining Room. Acquired in 1915, this work by Maurice Cullen is a view of the old Outremont Golf Club. Work on the property commenced in 1910 when numerous ditches were dug extending well beyond the Club’s boundaries. The property was completely fenced off, and the task of blasting boulders and clearing land began. Many years previously, when the railway bridge across the St. Lawrence was built, much of the fill for the right of way embankment had been taken from the area which is now in front of the clubhouse. This accounts in part for the land feature extending from the 12th green to the 4th tee, and sweeping in a curve to the 4th green. The bowl of the 9th green was a large hole into which many tons of rock and fill were dumped to bring the bottom up to a suitable level. The road along the west of the property is of interest as it was the old right of way of the first steam railway to connect Canada with the United States and ran from the wharf at Kahnawake to Moers Junction, N.Y.
Fieldwork progressed throughout 1911 and 1912 based on a plan drawn up by Charles Murray – a professional at Royal Montreal – and his brother Albert. It was not, however, until the late summer of 1913 that the course was opened for play when fifteen holes had been completed. By 1914 all eighteen holes were ready, although shortly thereafter the holes were lengthened as more and more ground was prepared. The many trees admired today are the result of a carefully planned program initiated at the time the course was built and followed up through the years. It is interesting to examine old photographs of the course in which the younger versions of today’s stately maples and elms can readily be identified marking certain areas on the course. Off the fairway dense undergrowth in swampy ground was generally to be found, and the task of clearing and draining the rough continues to this day. The front nine holes of the present course are essentially the same as those initially laid out. There have been numerous modifications and improvements to each of the holes over the years, but the sequence and general plan remain unchanged. Originally one large green, the third was changed in 1933 to provide two small greens. Also, the seventh green was placed in the flat area to the right of its present location. In 1970, substantial changes were made to the second green and the third green was remodeled again into one large green. The 5th hole was redesigned by placing a new green on the high ground to the left near the 6th tee. It is interesting to note that the total yardage on a 1914 score card for the first nine holes was 3220 yards with a rated par of 37 compared with 3199 yards and a par of 35 today. On the back nine, however, some important and drastic changes have been made over the years. Each of these, when proposed, generated serious and sometimes bitter controversy. While there is no description available today to identify the first layout of the 1914 course, it is believed that the second nine holes did not use the area now taken up by the 11th, 14th and 15th holes. Thus it seems that the then 13th, 14th, 15th and 16th holes were laid out in the area bounded on the east by a line from the present 13th tee to the 16th tee and encompassing the 16th, 17th and 18th holes. It is believed that the initial layout did not last long, for the areas of the present 11th and 15th holes were cleared and drained following which the holes on the second nine were rearranged, The revised layout provided for the short holes in the area of the present 11th, a long 14th, which was the present 13th extended to 545 yards, and a left angled dog’s leg to the present 15th green. The latest major change was initially proposed as long ago as 1930, but was not implemented until 1953. 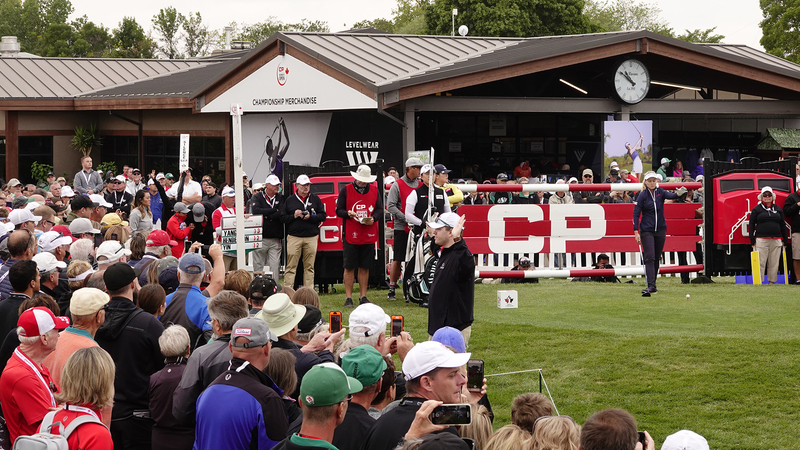 It involved giving up one of the two consecutive short holes at the 11th–12th, and opening the present 14th hole. Many members disagreed with the scheme each time it was suggested, and the depression years, followed by the Second World War, also contributed to delays. Eventually, in 1953, it received the approval of the membership, but not before many views in opposition had been voiced. Today, the criticism has declined but it is still a subject for discussion among the older members. In 1963 a major undertaking was completed with the installation of a course watering system leading from the St. Lawrence Seaway. In 1913, when it was built, the clubhouse comprised the present dining room, kitchen, a locker room on the ground floor, and the dressing rooms on the second floor. It was a modest structure but served the purpose very well for the next fifteen years with only minor additions. As there was no source of electricity in the district, acetylene lamps were employed to light the premises. The supply of water came from open wells, and it was pumped into a large reservoir located under the first tee. Advance notice was required if members intended on staying for dinner. No alcoholic beverages were allowed on the premises, and to ensure observation of this rule frequent inspection of the lockers was made and any such supplies confiscated. In 1925 the first major improvements were started when electric power was brought from Adirondack Junction, and an artesian well was bored, followed by the erection of the water tank. At this time the membership was at full strength and the clubhouse facilities were becoming increasingly inadequate. In 1928 approval was given to the Executive Committee to start a building program which would include adding a wing to the west of the clubhouse to accommodate the office, men’s lockers and a pro shop; an extension to the east to provide more facilities for the Ladies’ Club; and an enlargement of the kitchen and addition of a snack room. A sprinkler system was installed in 1938, and the pro shop enlarged in 1949. The most recent addition to the clubhouse was completed in 1956 and comprised the Club Room, conversion of the Snack Room to a Men’s Lounge or Trophy Room and modernization of the front verandah. 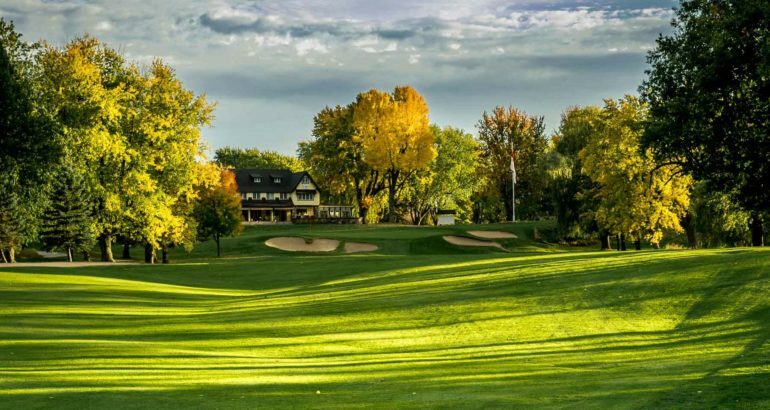 In spite of the several extensive modifications and changes over the years, the clubhouse still preserves something of its original charm and simplicity, and continues to serve the members well. 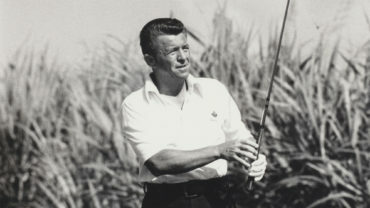 In 1929, Kanawaki hosted the Canadian Open, won by legend Leo Diegel. 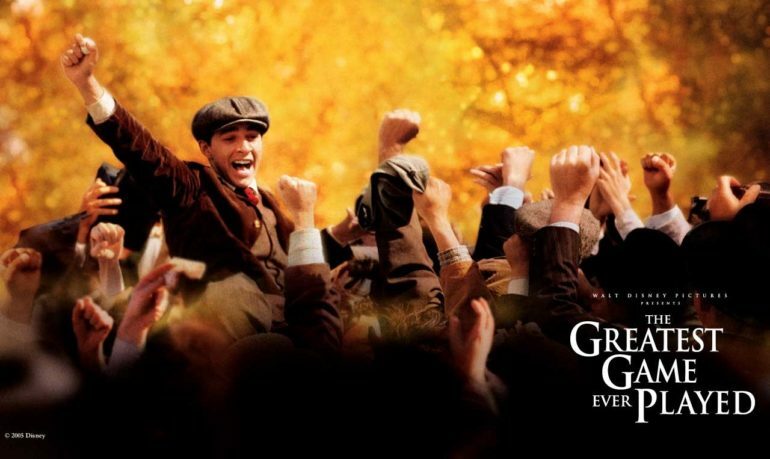 In 2004 The Disney movie “The Greatest Game Ever Played”, starring Shia LaBeouf, and based on the true story of Francis Ouimet and the 1913 US Open, is filmed at Kanawaki, with some of its members having the privilege of being stand-ins in the filming of the movie. Our professional John Murray provided swing coaching for the actors and can be seen as a body double in the movie for certain golf swings. 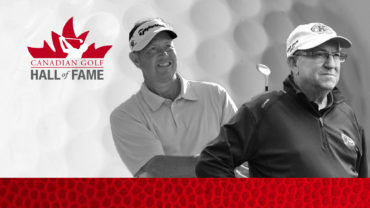 For more information on Kanawaki Golf Club, please click here.